New York Court Door has been knocked by German drug maker Merck KGaA against Facebook and have appealed to the court to forcefully investigate from facebook regarding Merck's Company's page on facebook which has apparently been taken over by US-based rival Merck & Co. 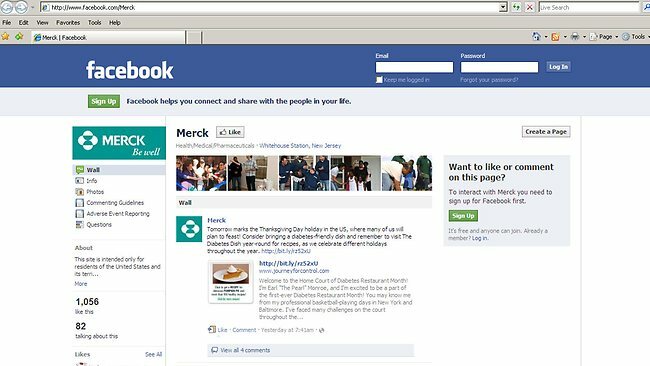 According to the case filled in New York State Supreme Court, the German Merck wants an action to be taken against the US- based Merck & Co who has taken their page on facebook with the URL www.facebook.com/merck. One of the spokesperson from Merck KGaA says, ''We just require details about how and why this has happened." The Facebook team and US based Merck & Co stated that they are looking into this matter. The German's filled against Facebook because the Palo Alto, California company failed to provide any clear information regarding this issue. Merck KGaA stated in their case that Facebook wasn't cooperative in securing and restoring their page and wasn't responsive enough as well while dealing with German Company. As per the fact that Facebook is considered an important platform for marketing hence the page is of great importance and value and this loss of page has caused real harm to Merck KGaA. Also the company is not yet able to estimate the actual costs which have been incurred in this loss of the web page. 0 Respones to "Two Mercks in Facebook row"